I hate when I remember that I haven’t updated my website in what seems like forever. It’s during these moments when I shove my brain around and say, “Come on, tough guy, cough up an idea already,” but it’s like my brain’s flat broke. Simply put, I’ve been using all of my creative energy to crank out a mess of stories. One of my last updates mentioned that I had just put the finishing touches on a novel. Well, since then, I now have 3 finished novels burning holes in my literary pockets. Not to mention an absurd amount of short stories, along with a 4th novel which I’m currently halfway done writing. To be honest, it’s been satisfying doing what I love best—dream up new worlds with colorful characters and write my fingers off about the places they’ve taken me. I’m just now coming to a point where I want to share these tales with the world. In order to do that, I’ve had to all but stall my creative process in order to dedicate myself to the other side of this dark and demented world of writing—the much dreaded, time-consuming, loss-of-hair-inducing task of finding the perfect suitor! I’ve decided to start this process off with my middle school book, The Worst Principal Ever, since it will be the start of a series. Plus, it’s the story which means the most to me. 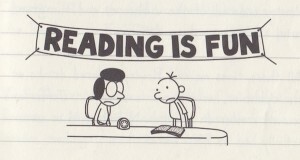 I wrote this book after reading the Wimpy Kid series to my seven-year-old son. We both tried to find another series to get into, but most of them either lacked humor or undermined the reader’s intelligence. So, instead of reading the Wimpy Kid series for the 100th time, I decided to pen my own tale—one I could write at work, chapter by chapter, and bring home to my son to read him each night before he went to bed. I write with a lot of confidence, but I’m not very confident when actually reading my work out loud, if that makes any sense. So I was nervous when I read the first chapter to my son. I think I even had the jitters. But he loved it, and I’ll never forget his reaction. I’ll never forget him beaming with joy, and laughing, and asking when I’d have more done. I dropped everything in order to pump this book out, because I wanted at least one chapter to read every night. I’m really excited to get the book out there and see what happens. Hopefully someone takes a chance on it—on me. I was going to get the book illustrated beforehand, but I decided to hold off. Instead, I’m going to trek forward with just the story itself tucked snuggly under my armpit. Besides, it’s 55,000 words long, so the task of illustrating it isn’t going to be a walk in the park. If an agent picks me up and wants illustrations, I’ll take it from there. And if I don’t find a suitable agent and decide to go it my own, then I’d be open to finding a passionate artist to share this journey with. After The Worst Principal Ever gets on track, I plan to get straight to work on figuring out what to do with my other two novels, both adult fiction, and my small army of short stories. So that’s where I currently stand with my writing career. Pretty exciting, actually, because in this moment, anything’s possible. There’re no crushing rejections. There’s no second-guessing myself. And no doors have slammed shut in my face. This, in essence, is me (a baby) trying to stand on my own in the publishing world. I’m going to embark on my writing career and hope I don’t face plant. Worse yet, I’d hate to regress by crapping in my underwear. Stay tuned, because I plan to post any newsworthy bits and pieces about my journey as they happen. In the meantime, wish me luck, because I’m sure going to need it!